It sure doesn't feel like Christmas where I am, but Echo Park can help you get into the Christmas spirit a little early, with their new Jingle All the Way mini theme collection! It’s impossible to stay caught up with all of those Christmas photos from year to year, so why not get an early start. 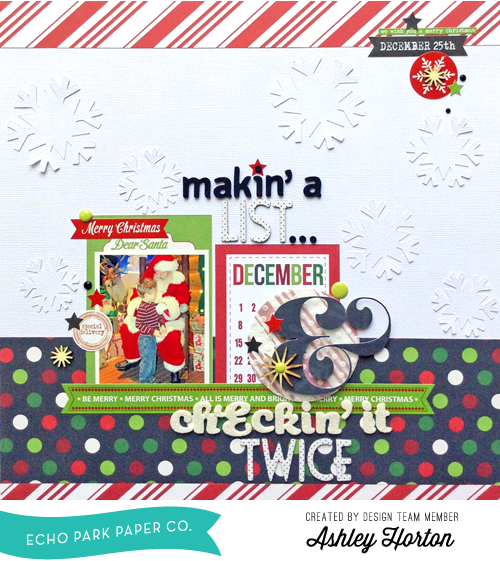 And you can really make your scrapbook pages look amazing by pairing your Echo Park collections with the cut files from the Echo Park shop in the Silhouette store, like I did on today’s layout! You can use the Silhouette shapes to create custom embellishments for your layouts, that are quick and easy. 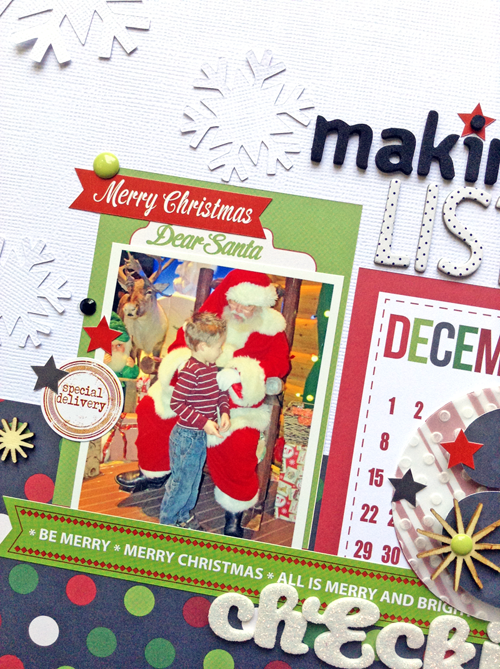 When I started my project, the Jingle All the Way Silhouette shapes were not available in the store yet, but there are so many fun ways you can mix and match the collections and shapes. I used the Ampersand cut file and incorporated it into a long title on my layout. Here’s a quick tutorial showing how I put my embellishment together. 1. Select your shape from the Silhouette store and cut each of the parts you will need. I cut the Ampersand at 2.5 inches and a circle from patterned paper and vellum at 2.75 inches. 2. Use a small stapler to attach the vellum circle to your patterned paper circle. Then add pop dots on the backside of your Ampersand shape, and adhere it to the circle. 3. Embellish your Ampersand with stickers, wood veneers, and enamel dots. You can also add other Silhouette shapes from the EchoPark store, such as snowflakes. 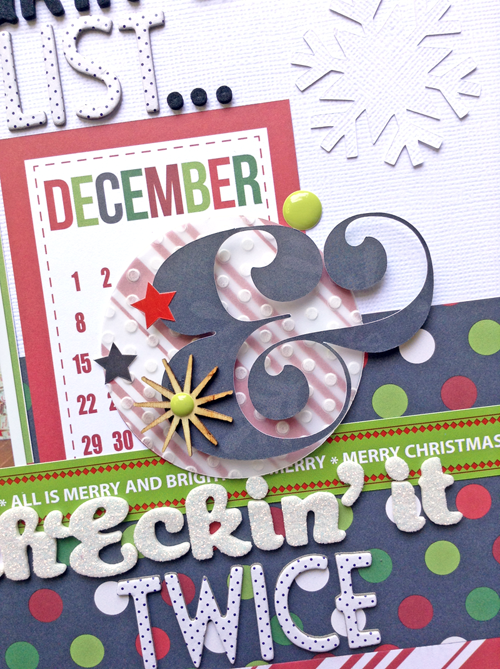 I cut several snowflakes from white cardstock and added them to the white space on my layout. I love the white on white look for a completed Christmas layout!